I was waiting for the Tube yesterday and saw this poster for an event in January 2015 called Minimalism Unwrapped (and yes the excellent photography above is from yours truly). The first names that jumped out at me was obviously Steve Reich and Scanner. The second though was A Winged Victory For The Sullen, which was more of a surprise as I had only heard of them twenty four hours beforehand. Coincidence? I think not...or probably. Anyway, A Winged Victory For The Sullen is a duo who make incredibly haunting and uplifting ambient tapestries. It isn't surprising these guys are so adept at crafting intricate aural infinities - Adam Wiltzie is Stars Of The Lid and played in Sparklehorse whilst Dustin O'Halloran is a composer. They have just released second album Atomos and it is breathtaking. Made as a score for a dance piece performed at Sadlers Well in London, the suite of songs hang together like gossamer in twilight, an effervescent mirage of texture, grandiose in the most primal sense, strings, piano and electronica melding together to melt the hardest of hearts. 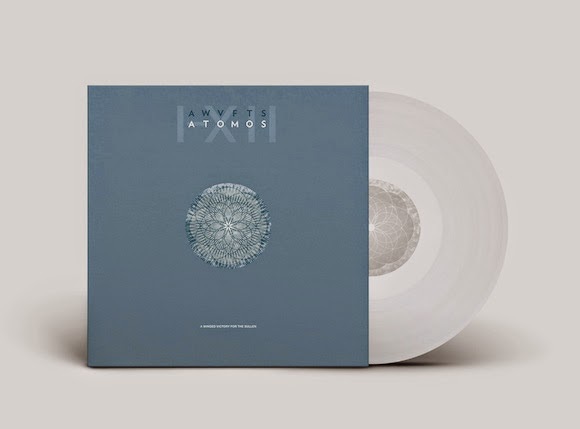 You can buy Atomos in beautiful clear double vinyl through Erased Tapes here, and tickets to Minimalism Unwrapped here. Both are/will be amazing.